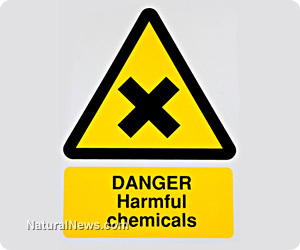 (NaturalNews) The most widely used pesticide chemical in the world, glyphosate has been a target of environmental protection and human rights groups alike for many years now. And rightly so, as glyphosate, which is widely marketed and sold under the Monsanto-owned brand Roundup, is linked to causing cell damage, genetic mutations, miscarriages, behavioral disorders, reproductive damage, immune disease, cancer, and death. All of this and more is revealed in a 2004 paper published in the Journal of Pesticide Reform, which highlights many of the dirty little secrets about glyphosate that you will never hear about from the U.S. Environmental Protection Agency (EPA), or any other regulatory authority for that matter. While the EPA and others are busy arbitrarily declaring glyphosate to be safe enough to eat, real scientists are uncovering the many horrors associated with exposure to this pervasive chemical. By its very nature, glyphosate has been designed to squelch life before it can even begin. Monsanto's own background and marketing materials for glyphosate explain how the chemical blocks plants from producing the nutrients they need to survive, effectively killing them. And this chemical solution is being indiscriminately spread across tens of millions of acres of crop land every single year in the U.S., which is leading to massive dead zones of lifeless soil and polluted earth. "Glyphosate blocks the activity of an enzyme used by plants to make certain important amino acids," explains the glyphosate fact sheet. "Without these amino acids, the plant cannot make proteins required for various life processes, resulting in the death of the plant. Glyphosate is a broad spectrum herbicide, so it kills most types of plants." Did you catch that? Taken literally, this succinct description reveals glyphosate to be nothing more than a life-destroying poison. Natural, living organisms, in other words, do not stand a chance when it comes to being exposed to this chemical - only genetically-modified (GM) plants that have been artificially programmed to resist glyphosate are able to survive, and this at the monumental expense of the greater ecosystem in which they reside. But glyphosate itself is not the only major cause for concern when it comes to the chemical's use. As it turns out, Roundup and many other commercial glyphosate formulas are also loaded with all sorts of so-called "inert" ingredients that are not indicated on the label. As highlighted in the glyphosate report, these inert ingredients typically carry with them their own toxicity, triggering many of the same harmful side effects as glyphosate in isolation. 5-Chloro-2-methyl 3(2H)-isothiazolone, for instance, is a chemical component used in Roundup that has been linked to causing both allergic reactions and genetic damage in laboratory tests. And 3-Iodo-2-propynyl butyl carbamate, a biocide often used in glyphosate formulas, has been shown to cause thyroid damage and growth abnormalities in test subjects. Other harmful glyphosate ingredients include petroleum distillates, polyoxyethylene alkylamine, and methyl p-hydroxybenzoate, which are linked to fertility problems, genetic damage, and other harm. "Four laboratory studies published in the late 1990s demonstrated the ability of glyphosate and glyphosate-containing herbicide products to cause genetic damage," adds the report. "(And) three recent studies have demonstrated a link between glyphosate exposure and non-Hodgkin's lymphoma, a type of cancer." Soil persistence, water contamination, drift, damage to plants and animals, and "superweeds" are among the many other major causes of concern with regards to glyphosate. None of these issues has ever been properly addressed by governing authorities, and yet glyphosate continues to increase in use year after year.